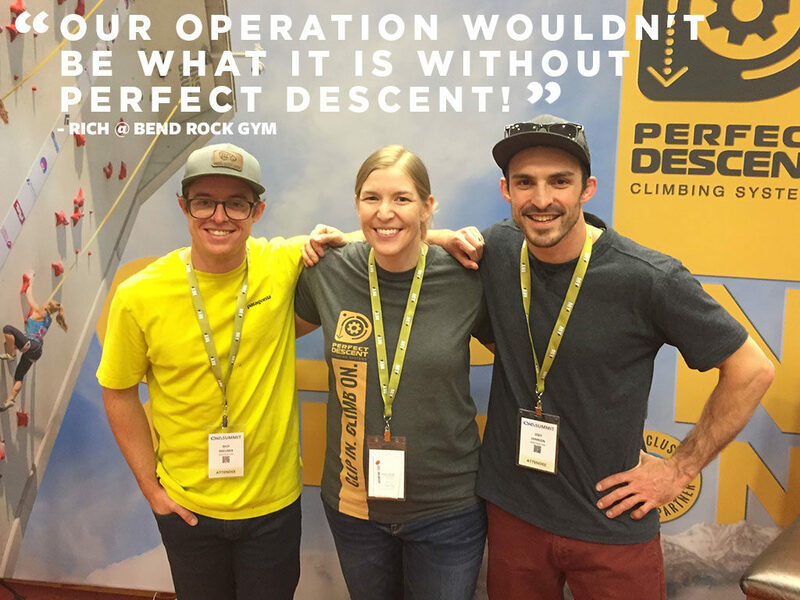 Perfect Descent is a proud sponsor of the annual Climbing Wall Association Summit. We strongly support the mission of the Climbing Wall Association and contribute through direct sponsorship and the donation of Perfect Descent auto belays for the CWA raffle and silent auction. 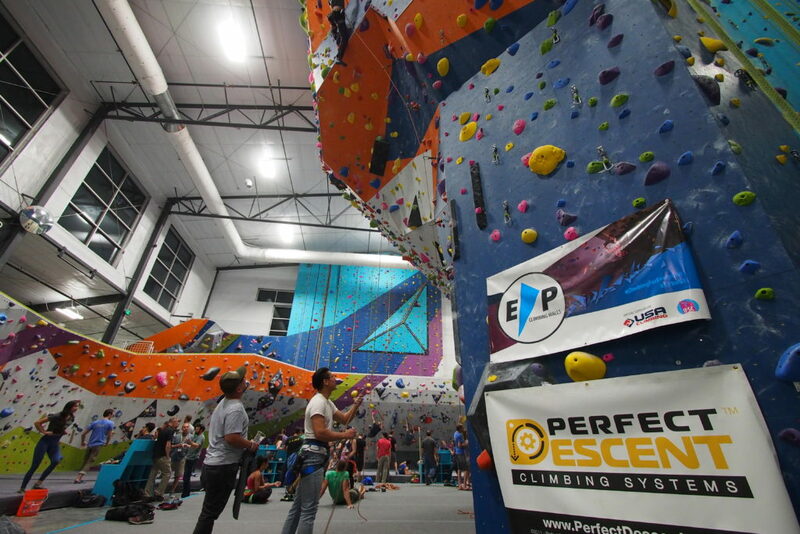 For the last several years, Perfect Descent has teamed up with our friends at Entre-Prises and Ascent Studio in Fort Collins, Colorado to host an after party featuring pizza from Krazy Karl’s, beer from Oregon’s 10 Barrel Brewing, and open climbing for all who attend. It’s our little way of saying thanks to everyone who makes this a great industry to be a part of. What is the Climbing Wall Association? 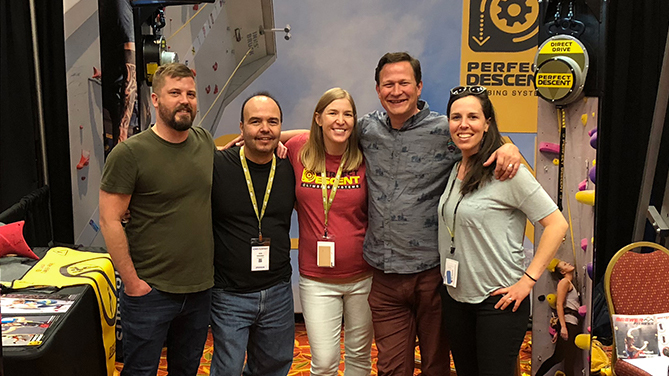 The Climbing Wall Association (CWA) is a unifying trade organization with a mission to support the growth, health, independence, and professionalism of the climbing wall industry. 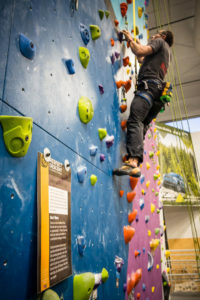 The CWA serves the interests of climbing gyms, climbing wall operators, climbing wall manufacturers, equipment manufacturers, and others invested in the business of climbing indoors by maintaining professional standards, representing industry groups in legislative processes, and promoting indoor climbing as a sport. What is the benefit to becoming a CWA member? Members of the CWA can be confident that their dues are going to the organization that is working hardest to ensure the growth of indoor climbing and the safety of its participants. Members also receive discounts on certain walls, holds, and gear as well as access to insurance through The Monument Sports Group. Included with membership are publications such as engineering and inspection specifications and ClimbSmart! program materials. CWA also offers gym start-up consulting to its members. What is the CWA Annual Summit? 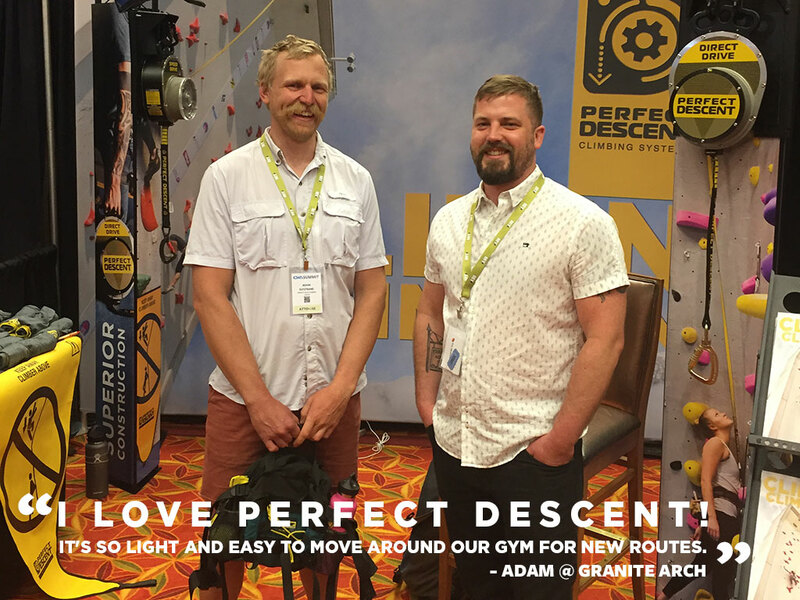 The Summit is the indoor climbing industry’s premier professional development conference and trade show. Three days of networking, information, and inspiration that move the industry forward. Previous keynote speakers include Tommy Caldwell, Peter Metcalf, and James Mills writer of The Adventure Gap. Join attendees from around the world to share, learn, and get hands-on with newest products and solutions for the industry. What kinds of things can be learned at this summit? Pre-conference workshops cover a range of topics including management and leadership, coaching and training, startups and new business, as well as climbing wall and work-at-height certifications. These in-depth sessions are taught by expert faculty and offer comprehensive hands-on learning. The main conference features high-quality plenary and break-out sessions and product presentations delivered by industry leaders and experts. Examine key issues and opportunities facing the industry while deepening your professional knowledge and skillset. 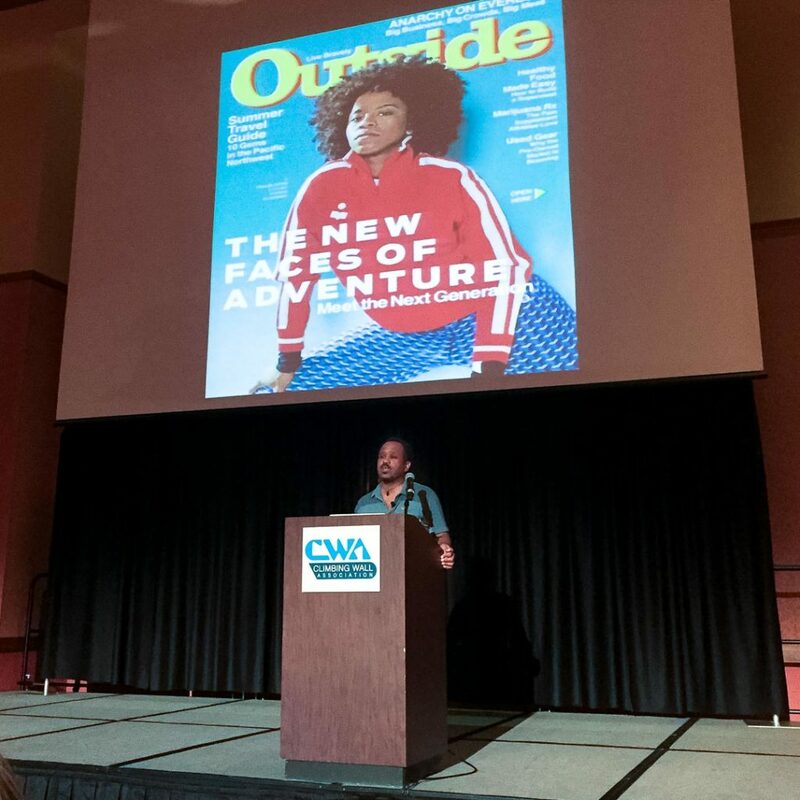 The 2018 CWA highlights include a panel session led by thought leaders in the route setting world, the USA Climbing Coaches Symposium, and the first-ever panel discussion about women in climbing led by influential and inspirational female athletes, entrepreneurs, and business leaders including Lynn Hill, Selma Jun, and Sophia Danenberg. To learn more about CWA and the work it does for the indoor climbing industry, check out their site and Facebook.